Nyan Cat Bag. Available on etsy.com/shop/RedPanic o eBay.com. HD Wallpaper and background images in the Nyan Cat club tagged: nyan poptart cat rainbow poptarts nyan cat. 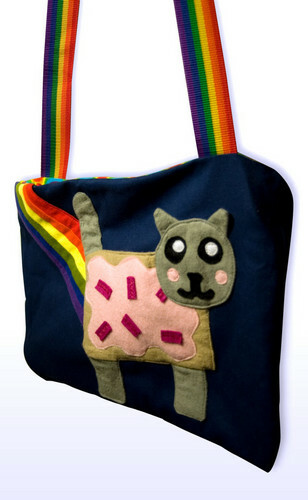 This Nyan Cat photo contains borsa a tracolla. There might also be borsa da sera, borsa, bag, borsa, and portafoglio.